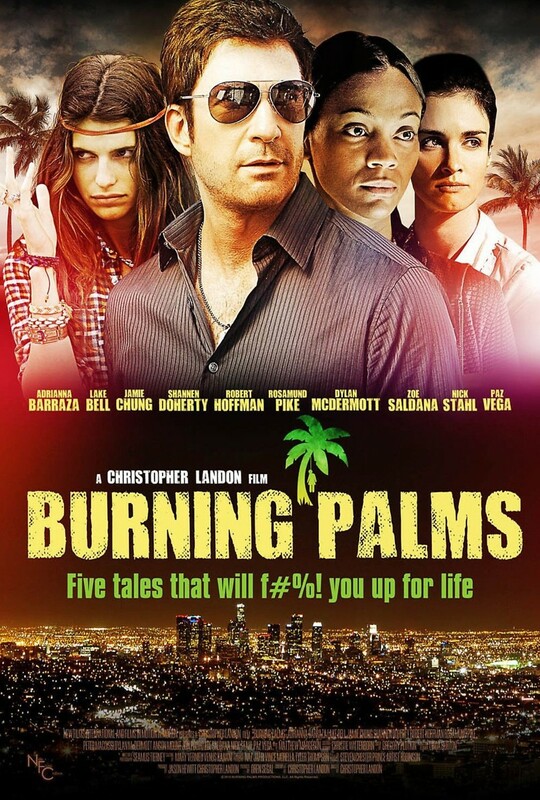 Burning Palms DVD and Blu-ray release date was set for May 24, 2011. No page is left unturned in this dark and satirical tale that intertwines five stories. Following the lives of Dedra Davenport, Ginny Bai, a prominent Hollywood gay couple, a nanny, and woman who gets raped, stereotypes of Los Angeles are intensely potrayed. All of the characters break taboos and stive for success but seemingly head for a darkly humorous and comic fate. When a woman meets her fiance’s daughter for the first time, she is taken aback by their odd father daughter flirtation. A gay couple begins to question their decision to adopt an African child. A woman tries to satisfy her boyfriend’s peculiar sexual needs but realizes she may be in for than she bargained. In addition to all that absurdity, a woman finds the man who sexually assaulted her and makes an unusual request, and a nanny begins to find startling secrets about the mansion staff.